AviPLAN Airside Pro is the number one choice for the vast majority of the world’s largest airports, aviation consultancy firms and passenger boarding bridge manufacturers. Whether planning a greenfield project, revising an apron layout, reviewing safety requirements, or carrying out operational efficiency checks, AviPLAN Airside Pro has all the features and functionality built in to one complete software solution. 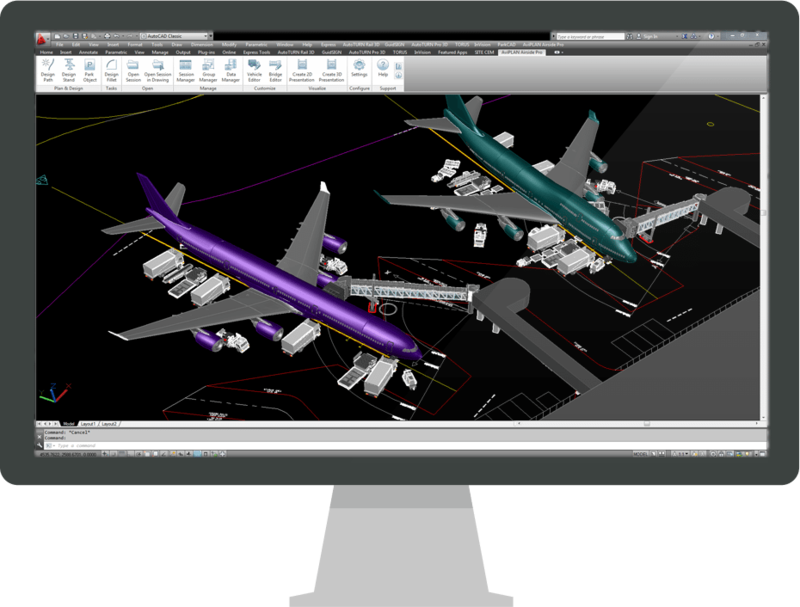 AviPLAN Airside Pro incorporates advanced design tools and intuitive graphical interfaces, allowing users of all experience levels to generate and visualize aircraft maneuver and parking stand simulations with ease.